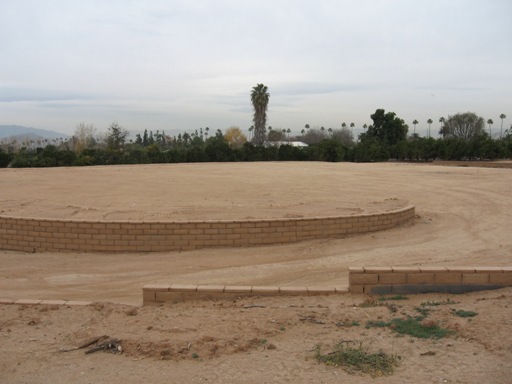 Any person in the City of Riverside proposing to disturb more than 50 cubic yards of soil is subject to obtaining a grading permit from the Public Works Department. In conjunction with this requirement, it is typically necessary to hire a licensed civil engineer to prepare and submit grading plans for review and approval prior to issuance of a grading permit, with the notable exceptions listed below under Exemptions and Modified Requirements. Additional items, as applicable, may be required and are listed on the aforementioned checklist. The Grading Permit Application Checklist identifies the critical information required to be shown on the grading plans and also lists the standard Grading General Notes that must be included on the title sheet of the plan set. For projects that required a Preliminary WQMP as a condition of the entitlement, the Final WQMP must now be completed and recorded prior to issuance of the grading permit. Additional information regarding the preparation of WQMP's can be found HERE. When a plan check is completed, the engineer of record is notified to pick up the plans from the Public Works front counter on the 4th floor of City Hall. Once all corrections have been made, the engineer of record will be directed to obtain a signature from the Planning Division on an original set of the plans and submit three copies of that plan set for approval, along with a wet-signed and stamped copy of the soils report and all previous redlined copies of the plan. The next step after permit issuance will be to submit an Inspection Request for a pre-grade meeting with Public Works inspection. Minor grading as documented by a licensed Civil Engineer using a Grading Permit Exemption Certification. Stockpile Only grading plans which propose temporary placement of stockpiled materials do not require submittal of a preliminary soils report but have restrictions as described on the Grading Permit Application Checklist. Regular grading plans which propose less than 5,000 cubic yards may be signed by an architect. Grading plans on parks and other projects in excess of 5,000 cubic yards, not supporting a structure, not exceeding fill depths of 10 feet, may be signed by a landscape architect. Have additional questions? Visit our FAQ page!